Okay so I know I’m the queen of delayed blogging with a whopping 50+ unblogged makes but I realised I never blogged this heart embroidery and it turned out so sweet that I wanted to share it. If you follow me on Instagram you’ll have seen my embroidery posts and I have a story highlight so you can see my most recent pieces but this was one of the my VERY EARLY attempts at embroidery and helped me perfect some of the basic stitches. It’s a pattern download from Oh Sew Bootiful which you can get here. After trying two of their kits where pre-printed fabric, a crazy amount of thread and very clear instructions are all packaged up for you, I wanted to see if I could work out good colour combinations on my own and practice transferring the design onto the fabric myself. The benefit of a PDF pattern is that you can resize it to fit your ideal hoop or if you’re short on hoops, make it work for whatever you have to hand. I like to use a frixion pen and a window as a light source when tracing. A couple of pins hold the paper and fabric layers together and any mistakes can be rubbed away with the rubber on the end of the frixion pen. I got mine as a Christmas present but have seen them in lots of stationary sections of shops. This design really makes you practice French knots (I like to do a double curl around the needle), lazy daisy (worked best when I remember to rotate my hoop as I go) and pinwheel roses (magic stuff). How many of you have heard of Ladybird Likes? I hope you all raised your hands. Or immediately clicked through to see the gorgeousness on offer in the shop. I’m in a pretty good mood. I had a wonderful birthday with great gifts, food and friends. And it’s about to be a bank holiday in the UK. I want to share the happy feelings around with a giveaway. Ladybird Likes was set up by Zoe in 2012 but her business is already booming. She stocks charming brooches, necklaces, collar clips and even bow ties that she has handmade from wood, vintage fabric and pretty paper! Zoe has an etsy shop, attends big craft fairs like Renegade Craft Fair, and Crafty Fox Market, and has been featured in Mollie Makes, Wedding Magazine, Handmade Living, Cross Stitcher, and Make Jewellery, as well as on several blogs you might know (I found out about LL and Zoe through The Dainty Squid, but her pieces have also been featured on Skunkboy Creatures, Little Chief Honeybee, and What Olivia Did). I love that the company’s message is “making nice things for nice people”. I think the creative community is a wonderful place where like-minded people can support each other and I have honestly met some amazingly nice folk through blogging and sewing. 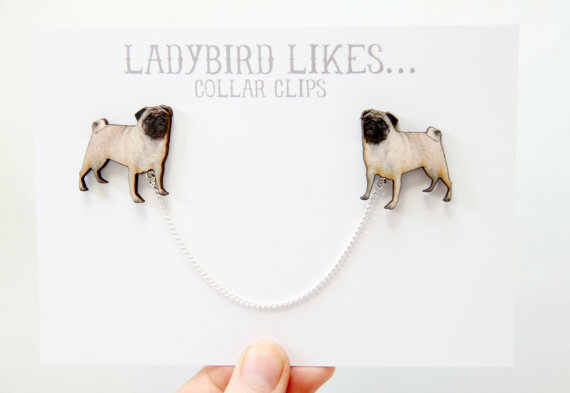 With this in mind, the giveaway I’m hosting is for a Ladybird Likes brooch of your choosing! 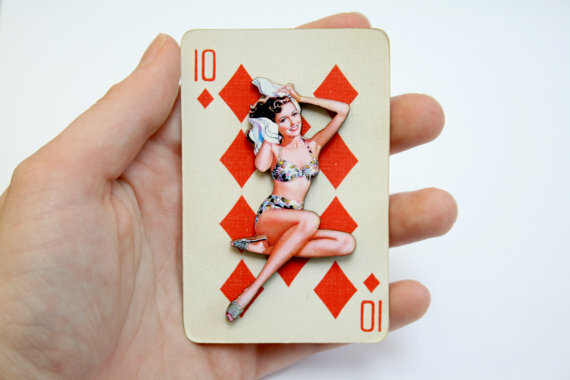 I love the Vintage Lady brooches and the Pin up Girl brooches (see above and below for my personal favourites). 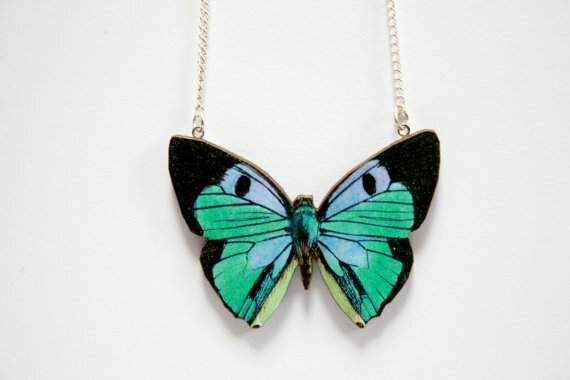 But if they aren’t your style, there are robots, butterflies and birds to pick from too! 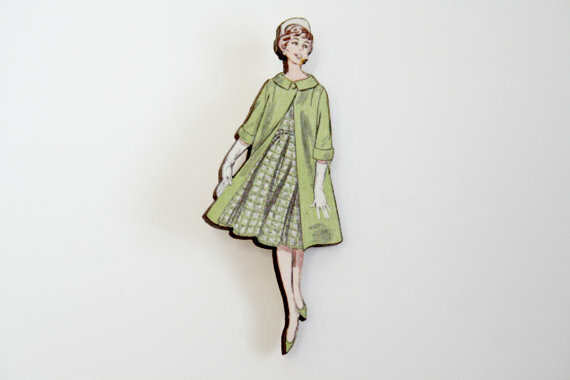 To enter, visit the shop then come back and leave a comment on this post telling me which brooch you’d like to win. This giveaway is open internationally. Entries must be received before Wed 28th August, Midnight GMT. A winner will be chosen at random shortly after the giveaway closes and where possible directly contacted to inform them of the win.